Yes I can see exactly what you mean. IG Gummiberry, IG blue 6, Azure 4, Grey plum, to say the least. Augh! I think I can skip the Noodler's Voltaire and wait for Konrad's Cherry. Really, I could do that. Cherry does look pretty yummy. But does it come with a free Charlie pen? No, but since it will cost 1/3 of the price... you can buy yourself a Charlie Pen or two or three... and still save money. Is anyone besides me confused over all the changes in numbering systems for these inks? There seem to have been three different ones, as far as I can tell. Actually, only ONE change has been in effect. From the "OLD" Id to the "NEW" Id. I could remove the "Old Id" column, but since the original swatches are labeled by that Id (KWZI #1, KWZI #2) I kept it for ease of referencing. The New Code provides Konrad with a much better system to track his creations, and anything that makes his life easier is a very good thing. I KNEW I should have given myself more time to look at Konrad's inks at the Pen Show! I bought IG Blue #5 and IG Turquoise and somehow missed the Honey. All those other colors, too, are lovely, but how did I miss the Honey?! 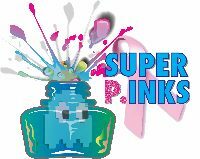 Actually, some inks have an old ID, a new ID, and a third number to differentiate the ink from others of a similar color. For example, old ID #47 is the same as new ID #2109, but is also known as Violet #9, and this last designation is the one it usually goes by when it's mentioned in the forum. With so many different colors, it would be helpful to settle on just one number, for example, Violet #2109 rather than Violet #9. Everyone can transition gradually to the new numbers, and we can all end up on the same page. 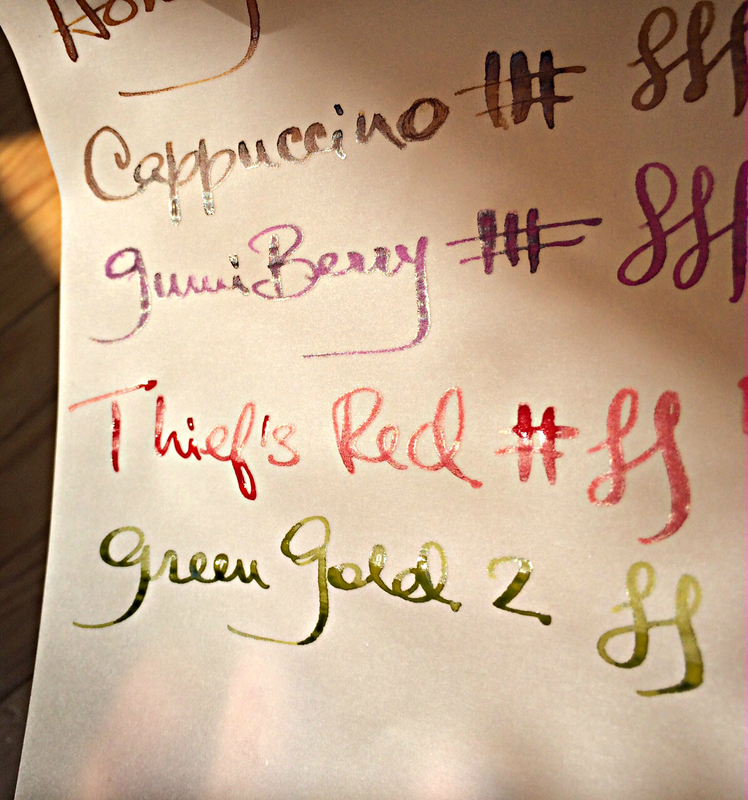 There are also several inks that you've sampled that apparently are no longer (alas!) being made. It would be good to put them in the complete list and designate them as NLA, so we won't wonder what happened to them. -- Violet #9 is not an ID is a Color Name. -- Some of them are not listed, and that is fine. The listed ones are the current line up, and that is what most people need to know. In summary... all names and Id are unique, so you can use whatever you want when ordering, we will always be able to figure out which one you want. I've noticed that most KWZI inks seem to have a silver sheen. What paper are you using? I don't get any sheen from Gummi Berry, but I get some with Maroon. It (the vellum, not the spit ) is a magical thing! Hey all does anyone know if email is the best way to get in touch with Konrad about ordering some of these beautiful inks? 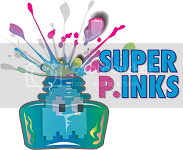 I'm kicking myself for missing the boat on the group buy :/ and now of course must have some of this inky goodness after all of these beautiful writing samples and reviews! The email address I found in one of the threads is kwzi.inks@gmail.com; is that the correct one to use? I missed the boat as well. Is another group buy projected for the future? Group Buy 4 is planned to take place by the end of the year. to contact Konrad, KWZ email is one way, the other way is through his website. Thank you for that last post... I didn't know who KWZI was... now I do! And thanks for the swatches etc. A strange question: How long do you think it takes to "do" one (or ten or however many) swatches (ink, sample, photo, quick write up)? e.g. is it 100 per hour? 10 per hour? ?? ?